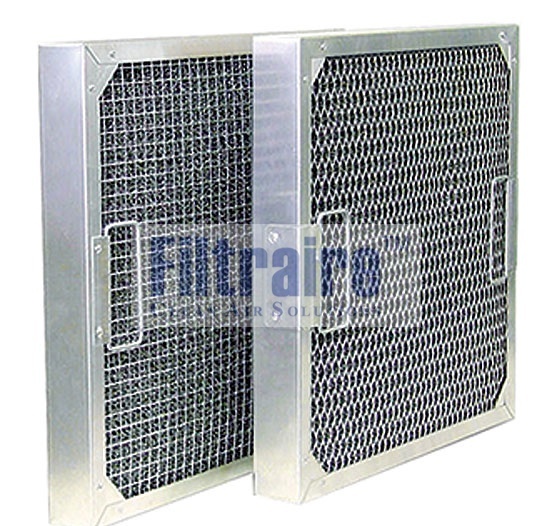 Baffle Filters work very differently to the mesh style filters; rather than collecting the grease within the filter medium, the filters work by forcing the grease laden air to change direction and velocity as it passes through the filter. Because the grease droplets are unable to change direction as quickly, they become separated from the air and are deposited on the baffle blades and drained in into drip trays. This method of grease filtration remove any potential risk of spread of fire, should a fire occur on the cooking surface below. Without a grease build up in the filter, there is no increase in the operating resistance allowing a constant airflow to be maintained, reducing energy consumption. 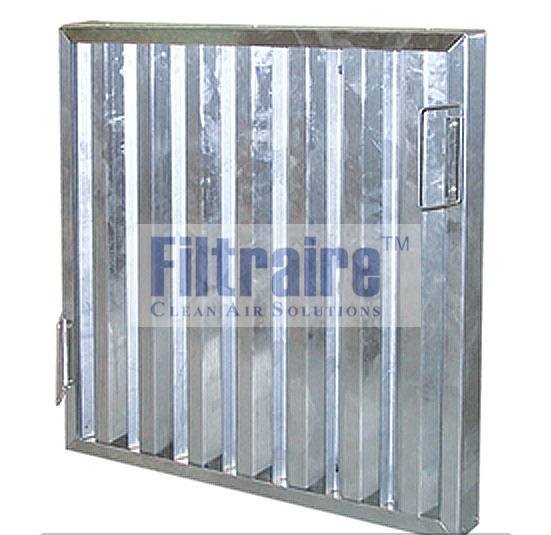 The Baffle filter is manufactured in stainless steel and unlike other baffle filters on market, has aerodynamically profiled baffled blades. This ensures maximum airflow and grease retention whilst creating minimum pressure loss. Handles are fitted as standard to the shortest side, with drain holes in top and bottom leading edge, the filters can be fitted either way up.